While searching for an interesting topic I happened across an article about amateur drone pilots. There has been a drone pilot group formed by Austrian R/C enthusiasts and salespeople called “Team Blacksheep”. They are traveling around the world with drone aircraft capturing images of flights for publicity tactics. Team Blacksheep is using a loophole in the new FAA standards to accomplish this. The latest flight was around the Golden Gate Bridge. According to the article (link at the bottom) amateur pilots do not need FAA waivers to operate drone aircraft as long as they remain in the pilots line of sight and do not fly above 400 feet. The group is pulling this by because they are non profit. 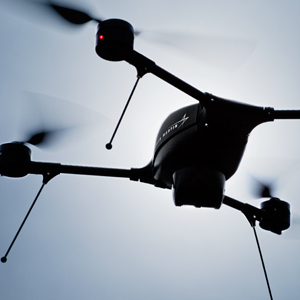 Any drone flown for business purposes are required to apply for a FAA waiver. Everyone from fire and police departments and private business owners are going through the strict FAA rules governing UAV operations. Even Amazon is planning to be delivering packages less than 30 miles of a distribution center with the use of drone technology in the not so distant future. The latest predictions are saying that there will be over 30,000 drones in operation through waivers for businesses by 2030. What are groups like “Team Blacksheep” doing to the AMA’s efforts to work through this regulation writing with the FAA?